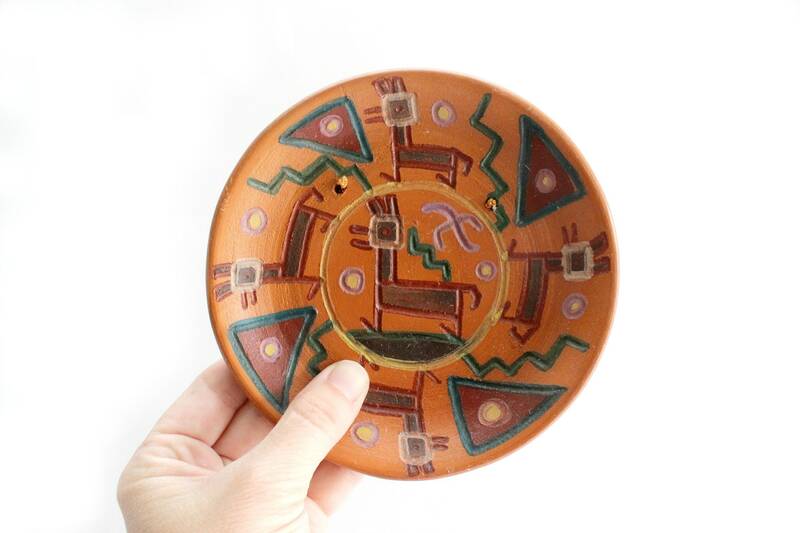 Decorative terracotta plate hand made in a small shop in Cusco, Peru. 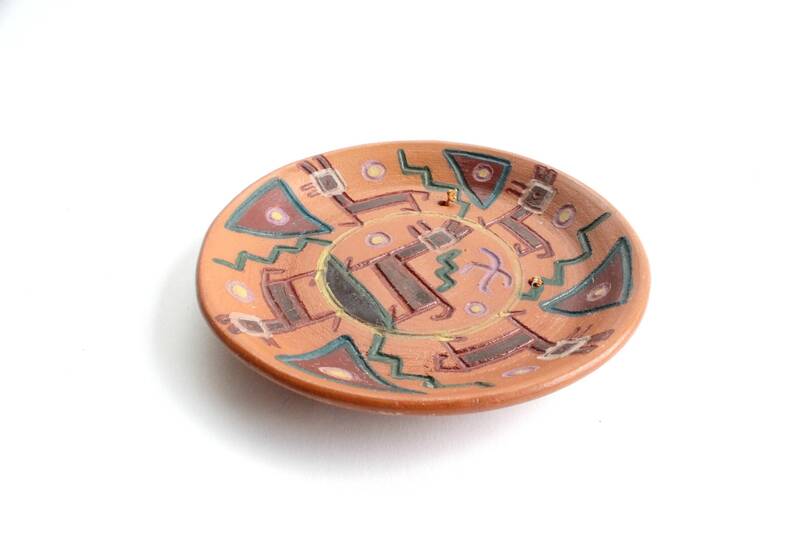 Lightly carved and painted geometric design. Primary colors are green, reddish brown, and dark brown. There are yellow and purple accents. 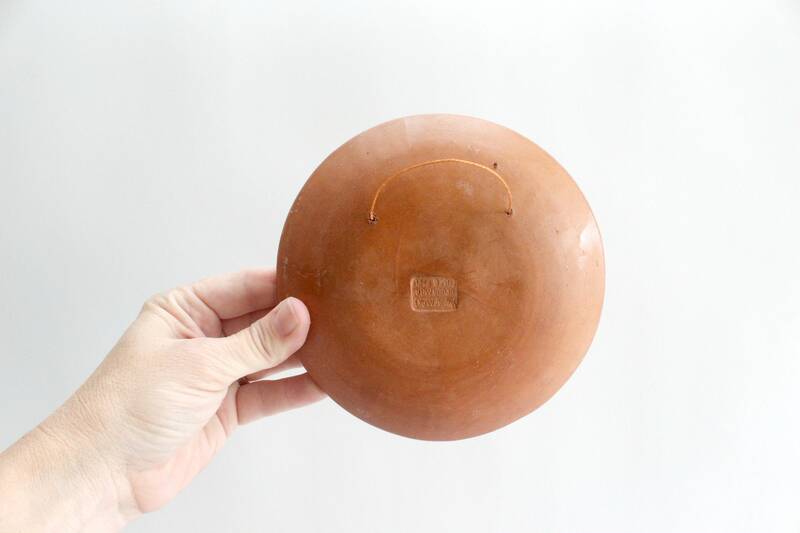 This is a small plate with string attached for easy hanging. 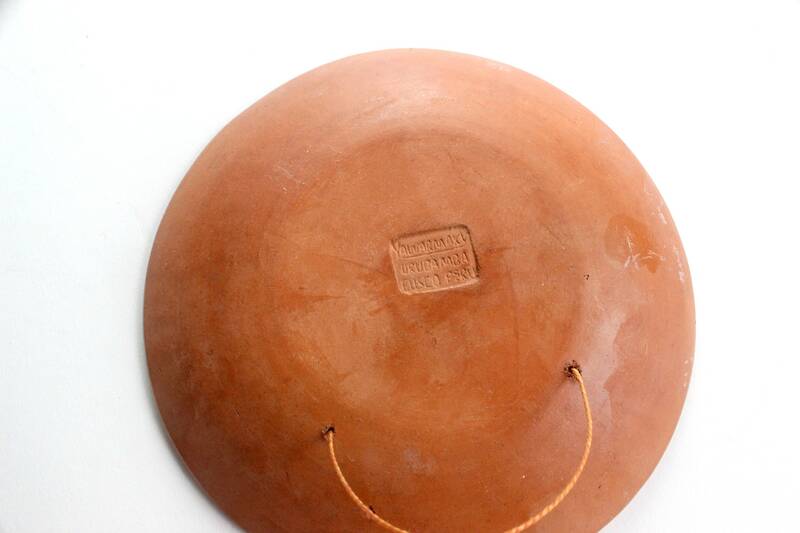 Inscribed on back, "Yawarmaki Urubamba Cusco Peru." 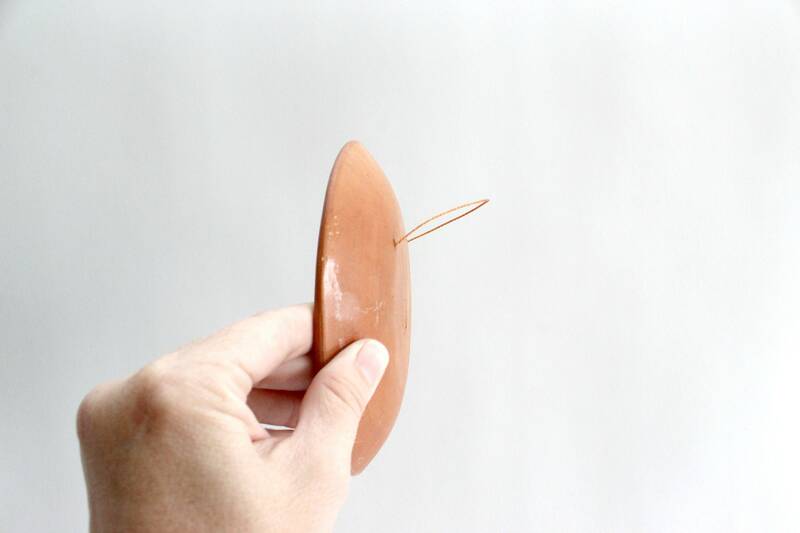 Measures 5.25 inches across and .75 inch in thickness.